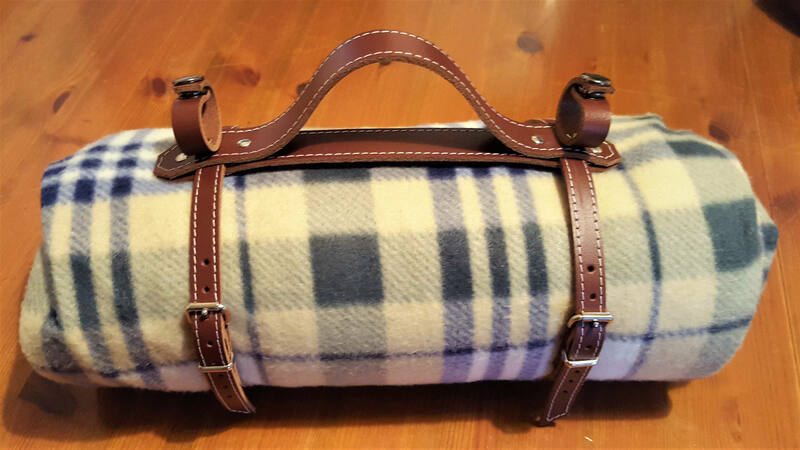 Here we have our hand crafted Tan leather Vintage bike picnic blanket strap with handle. 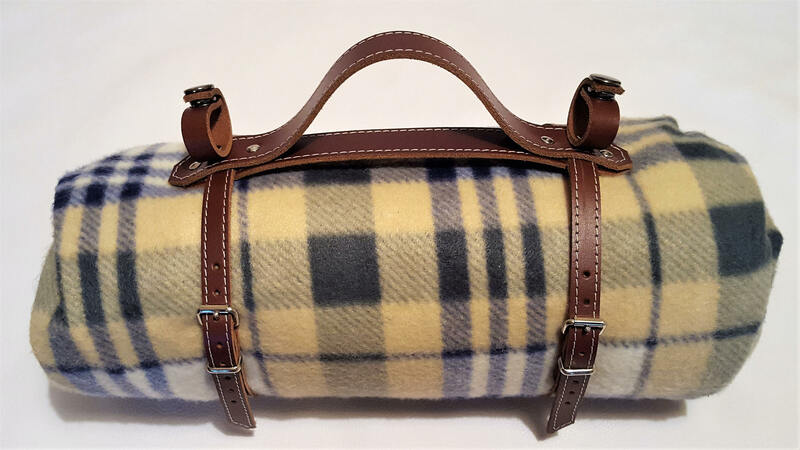 All our items are hand made to order in our small workshop to a very high standard and the utmost care is taken to ensure our customers are completely satisfied with their purchase. This Picnic Blanket strap simply clips under your seat to allow for easy transportation to your favorite picnic site. Or even roll up your beach towel and head to the beach. This is also available in other colours please just ask I'm sure we can help. 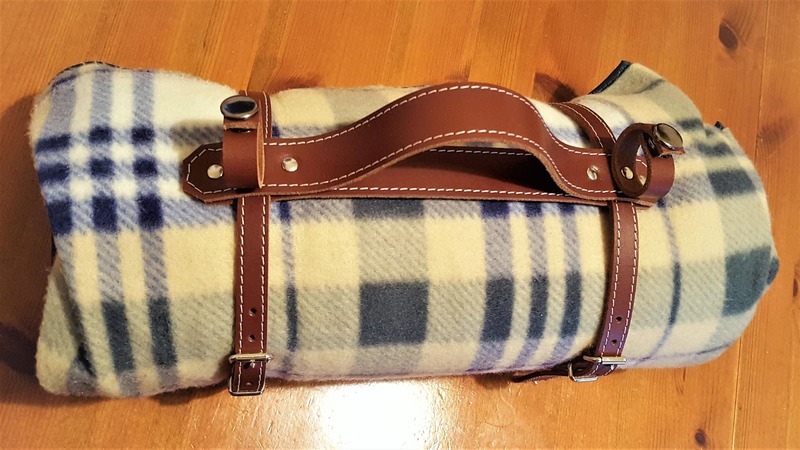 We also undertake a wide range of custom orders from dog collars and harnesses to wallets and a wide range of other leather items. No enquiry too strange feel free to contact us. I am looking forward to warmer weather and picnics.